The National Indian Justice	Center, Inc., (NIJC) is an Indian owned and operated non-profit corporation with principal offices in Santa Rosa, California. 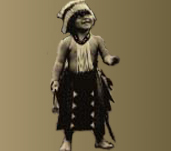 NIJC was established in 1983 through the collective efforts of the National American Indian Court Judges Association, the American Indian Lawyer Training Program, and the Bureau of Indian Affairs in order to establish an independent national resource for Native communities and tribal government. The goals of NIJC are to design and deliver legal education, research, and technical assistance programs which seek to improve the quality of life for Native communities and the administration of justice in Indian country. For more than 20 years, NIJC has designed and conducted effective education programs via regional trainings, on-site training and conferences for tribal courts, tribal government, law enforcement, social services, medical personnel, victims assistance programs and other interests throughout Indian country. Some of the programs include alcohol and substance abuse, alternative methods of dispute resolution, child abuse and neglect, domestic violence, Indian youth and family law, juvenile justice, and federal Indian law. NIJC staff have been dedicated to Improving Justice in Indian Country. Click here to view the video shown as Mr. Joseph Myers, Executive Director, NIJC, received the Haas Award at U.C. Berkeley. Thank you for taking the time to browse through our website to learn about the services that NIJC may be able to provide for you. The services described herein may be provided through a contractual arrangement between NIJC and your tribe or organization. NIJC offers for sale many of the written training materials employed in our educational programs. For further information go to the NIJC publications list. 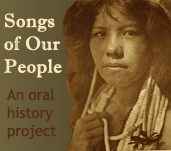 NIJC welcomes inquiries by tribes or Indian organizations concerning particular projects or problems.